Ski jumping ranks as the original Extreme Sport. It pre-dates any other organized winter competition and has been an Olympic event since 1924, the first Winter Games in Chamonix, France. Growing up in Norwich, Vermont, the three Hastings boys were natural skiers. As soon as there was snow, they were skiing through the woods behind their house. And it didn’t take long for brothers Jeff, Brad and Chris to crown any mound with a kicker and start jumping. Father Paul, a four-event skier himself, encouraged his sons and by the time Jeff, the oldest, was in third grade, he was jumping the 15-meter hill. 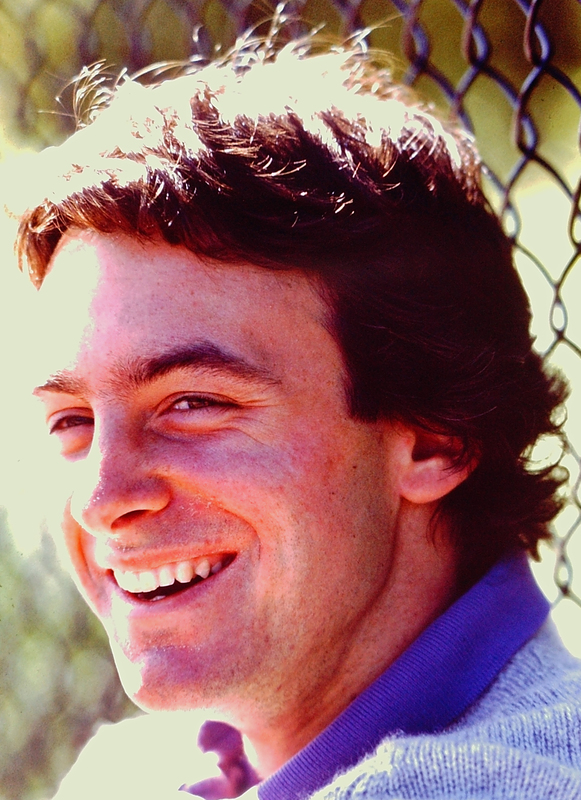 Coached by Bud Fisher at Williams College, Jeff made the national team and began traveling the world. At the World Cup in Lake Placid in December, 1983, he tied for third on the Normal Hill and came back the next day to finish first on the Large Hill. On the momentum, he was headed to the Winter Olympics in Sarajevo, Yugoslavia in February, 1984. At 24 years old, Jeff’s fourth place – a mere 1.7 points from bronze – has remained the best American Olympic ski jumping finish since Anders Haugen at the inaugural games, sixty years earlier. Jeff finished the 1984 World Cup season fourth overall. Jeff was ready to retire from competition but not from ski jumping. In 1985, he started coaching. In 1988, he led the U.S. Nordic Combined Team at the Olympics in Calgary, Canada. Brother Chris, at 23, competed as well as a jumper. Jeff’s experience and knowledge have also made him a sought after commentator for almost three decades. He has served as a ski jumping TV analyst for eight Olympics. His 26 year tenure includes every Winter Games since 1988. Ski jumping became Jeff’s ticket to travel the world and he felt compelled to insure other athletes would have the same opportunities. Back in 2009, ski jumping was losing ground. At a summer reunion of coaches and competitors at his home in Hanover, New Hampshire, an idea evolved to pump new life into the sport. Working with Alan Johnson and Rex Bell, Jim Holland and others, a group founded USA Ski Jumping, now USA Nordic Sports. Through their grassroots efforts, jumpers from hills large and small, have a host of innovative opportunities to be inspired and connected. Jeff introduced a number of programs, from live-streaming jumping events to the Virtual Nationals, where athletes send a video of their jump to a panel of judges to be scored against the national field. Jeff also started the “Story Project” which solicits stories from jumpers past, present and future, and like an Advent Calendar, posts one a day for the month of December, at the same time using the stories and photos as a fundraiser. Story Project now has 200 stories archives and last year raised $190,000. Because jumping skis, bindings, boots and suits are expensive and hard to come by in the U.S., Jeff also organized an equipment pool. Every year, he takes requests from clubs around the country and places an order with European manufacturers. Clubs are able to purchase top-of-the-line gear at significant discounts. His work, in every arena, has made and saved thousands, but more importantly, it has helped spark new energy into American ski jumping, his true mission. Jeff and his wife Kathy raised three children who love to play in snow: Brit, Tira and Sam. Jeff is also the President of PRO-CUT International, an automotive equipment company in West Lebanon, New Hampshire. 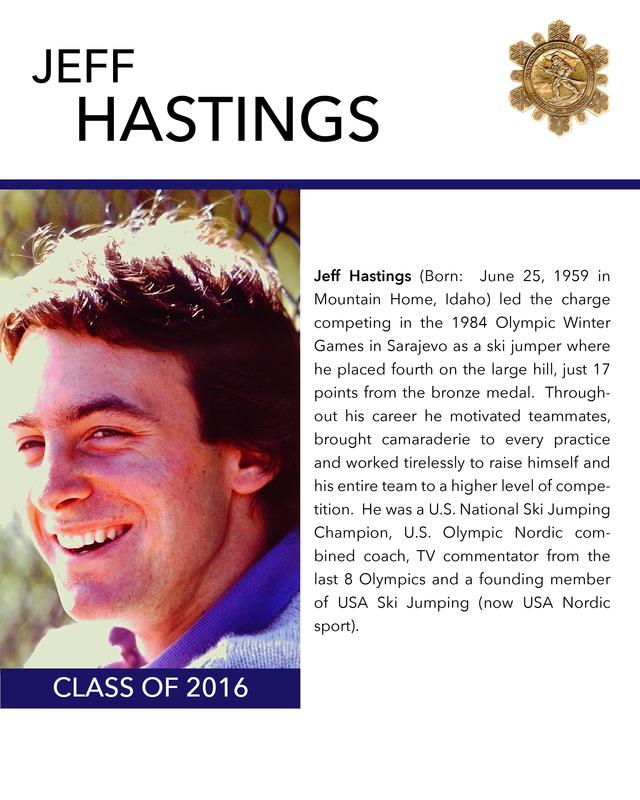 If you notice any errors or inconsistencies in Jeff Hastings's bio, click here to let us know.